Qualify 1: Dialed In! will be available to play April 10 - 14 during normal business hours. Scores will be cleared prior to Qualifying start. The top 4 unique qualifying initials at the end of the day Friday will advance to playoffs during Saturday launch party. If someone is not present, we will qualify down as far as initials are present to fill the 4 positions. Qualify 2: On April 15, every participant arriving between 11:30pm-3:30pm is provided one free game. If all participants in attendance at any given time have already played their free game, then they are allowed to play additional qualifying attempts ($1 per attempt; Players responsibility to Void any score that is not higher than previous attempt). Priority of play is given to any arriving players that have not yet played their 1st attempt and they will be bumped to the front of the line for all players waiting to play their 2nd+ attempts. Highest score for each player at the end of qualifying is used to determine final seed (top 4, or 50% of total qualifiers to a round number) or final place (9th - ?). Officials reserve the option to modify qualifying time or playoff structure as needed. Players MAY qualify for both Qualifying group 1 and Qualifying group 2 in order to control an advantage in playoffs of a first round bye. If someone qualifies in both groups 1 and 2 they are awarded a bye the first round and their total score is used to rank with others in the same situation. 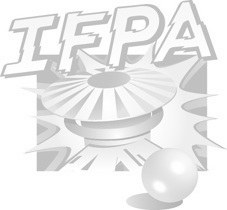 All other qualifiers from groups 1 and 2 will be ranked based on score for a total of 8 playoff finalists (please note that based on IFPA rules, at least 10% of total player base must advance to a playoff so depending on total players, the playoff pool may be expanded. Officials will make these modifications on the fly in order to create an even playoff bracket which also accounts for dual qualifiers with byes). 1-3-5-7 and 2-4-6-8 will play PAPA style 4-player games/ match play across 5-6 preselected games with Launch game as 1 of the games. 4, 3, 2, 1 scoring based on finishing position for each game and combined total used to determine whom advances. Player position on all games for playoff round selected with priority given to higher seed to lower seed. Play position will be maintained for the entire playoff match. When games are open and available for play, each playoff group is required to efficiently play through all games (i.e. multiple games being played simultaneously). Top 2 players from each group advance to finals round. If there is a tie after all games, the player with the higher score on Dialed In in that playoff round advances. Finals round the remaining 4 players will play PAPA style 4-player games/ match play across 5-6 preselected games with Launch game as the final game.